During lean economic times on the farm, working capital and liquidity are very important. One of our customers picked up 1,000+ acres of rental land yesterday during the heart of planting (May 5th). This is obviously very late in the year for anyone to be picking up new farmland. The producer from whom he acquired the farmland was unable to renew his operating note for the 2016 season. The reason for his bank’s unwillingness to renew the note: a lack of working capital. While I don’t know all of the specifics (and I wouldn’t be at liberty to share if I did), it’s my understanding that this producer used his working capital to make significant ROI-positive investments in his operation. His banker told him that if he paid for them in cash, the bank would be wiling to refinance those asset purchases if need be. The time for the refinance came (along with lower commodity prices) and the bank was no longer willing to lend against those assets. 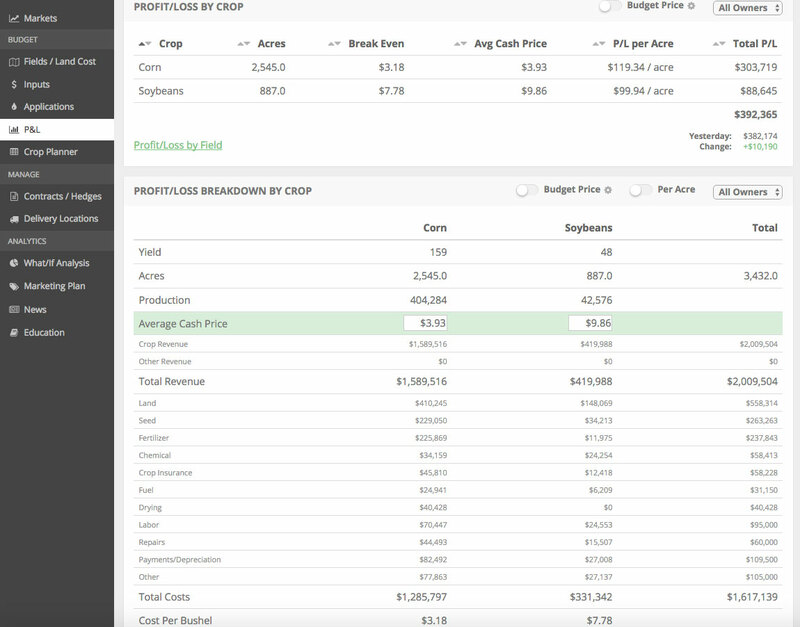 From the time he made the investments until now, his balance sheet was also faced with the steady headwind of lower commodity prices, equipment values, and farmland valuations. The bank is in the business of protecting their capital and that’s what they are doing now. On a related note, our customer was able to use Harvest Profit’s tools to evaluate this new rental opportunity. Our tools showed him that this opportunity adds approximately $100,000 of cash flow to his bottom line. With volatility comes opportunity! Farm liquidity is really what matters. In a situation like this, here’s what we would’ve known at the time of the investments. With the benefit of hindsight, I would’ve asked the bank for a line of credit on those assets as soon as they were completed. Commodity businesses, such as farming, are inherently cyclical. Preparing for these cyclical downturns is a key aspect of solid farm financial management. Working capital provides a valuable cushion between anticipated revenue and the crop insurance revenue guarantee. The reason why banks are willing to underwrite operating debt at 3-5% interest rates is due to the protection provided by crop insurance. While crop insurance is a far from perfect method of price protection (see this blog post for more information on that topic), it is the reason why banks consider an investment in a growing crop to be safe collateral. Cash is a low-return asset in today’s low interest rate environment. The key reason that working capital is vital to a farm’s financial health is that it provides liquidity. This liqudity allows a farm to absorb small losses while still being solvent. An insolvent business is a business on life support! High-ROI assets, such as drain tile or grain storage, will provide a farm with higher long-term returns than investments in working capital. The reason why working capital is so valuable is that it provides farms the means to finance the typical gap between its product costs and crop insurance revenue guarantee (if it isn’t obvious, in most years production costs are greater than the revenue guarantee). I don’t suggest completely depleting your working capital to make farm investments. But here’s a strategy to make these investments while maintaining valuable liquidity to help you bridge the production cost/revenue guarantee gap if need be. I recently worked with a producer who implemented this process. He had a working capital level of 50% (of estimated annual revenue). He decided to use approximately 20% of his working capital to make an investment in grain storage. He then obtained a line of credit on 60% of the value of his storage investment. His new working capital level is 30% but his total liquidity is 42%. As always, this is not a “one size fits all strategy”. Before implementing a strategy similar to this, make sure your banker is fully on board. All-in-all, your balance sheet is essentially a snap shot of the value you’ve created. Be proactive and not reactive in managing it and be sure to plan for the inevitable cyclical downturns.